In January a federal judge in California ordered the United States Citizenship and Immigration Services to once again accept applications for those eligible to renew their DACA protections. About a month later on February 13, 2018, a second judge issued a separate order that broadens it and will force the USCIS to once again begin accepting applications for initial DACA requests. Deferred Action for Childhood Arrivals or DACA was created by an executive order from former President Barack Obama in 2012. It allows eligible undocumented immigrants an opportunity to legally work in the United States and avoid deportation. In September of 2017, President Donald Trump’s administration ended the DACA program. What U.S. District Judge Nicholas Garaufis found is the Trump administration did not legally end the program correctly. “The question before the court is thus not whether Defendants could end the DACA program, but whether they offered legally adequate reasons for doing so. Based on its review of the record before it, the court concludes that Defendants have not done so,” Garaufis wrote in his opinion. The judge said, in part, the Trump administration decided to end the program with a legal conclusion that DACA was unconstitutional. A conclusion that has not been reached by a court and therefore cannot be used as a reason to end the program. “Defendants thus must continue processing both initial DACA applications and DACA renewal requests under the same terms and conditions that applied before September 5, 2017, subject to the limitations described below,” Garaufis writes. The judge did make it very clear the Trump administration has all the right to end the Obama initiated program. “This order does not hold that Defendants may not rescind the DACA program,” the judge writes. He also states that the USCIS merely has to restore the program to how it was operating the day before the Trump administration decided to end it. That includes accepting applications from people who are requesting DACA for the first time. The Trump administration has already appealed the ruling made in January. In a Reuters article, a spokesman for the Department of Justice defended their decision to appeal and defended their action to end DACA. “The Justice Department will continue to vigorously defend this position, and looks forward to vindicating its position in further litigation,” Devin O‘Malley told Reuters. If the Department of Justice prevails in their challenge the USCIS could once again halt the acceptance of initial and renewal DACA applications. 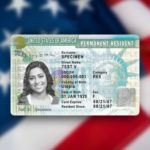 As per the first court order in January, the USCIS took a couple days to initiate the DACA program to once again accept renewal applications. As of February 14, 2018, the USCIS has yet to act on this latest ruling. It’s important to note, these rulings are temporary. They are both part of lawsuits that were filed by DACA recipients against the Trump administration. Several factors can change these decisions including a higher court ruling or the passage of a law by Congress. The DACA battle is changing very quickly and there’s no way to tell if or when the USCIS will stop accepting DACA applications altogether. If you are eligible to renew DACA you can start your applications online right away.